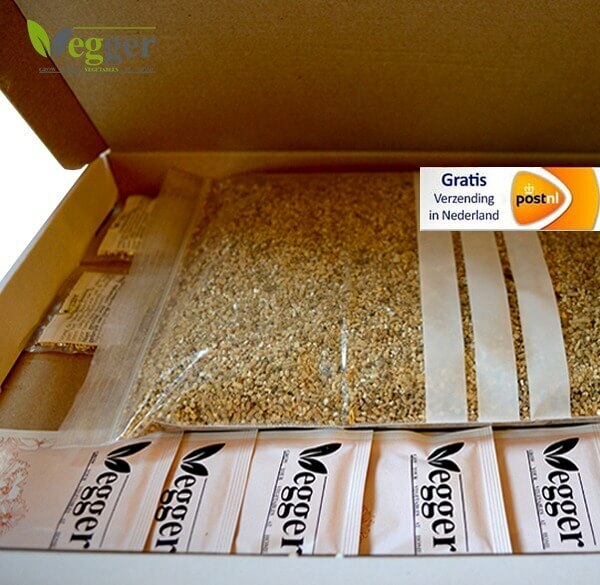 The bag of growth medium is sufficient e for 4 Vegger pots. The material used as a growth medium is vermiculite. 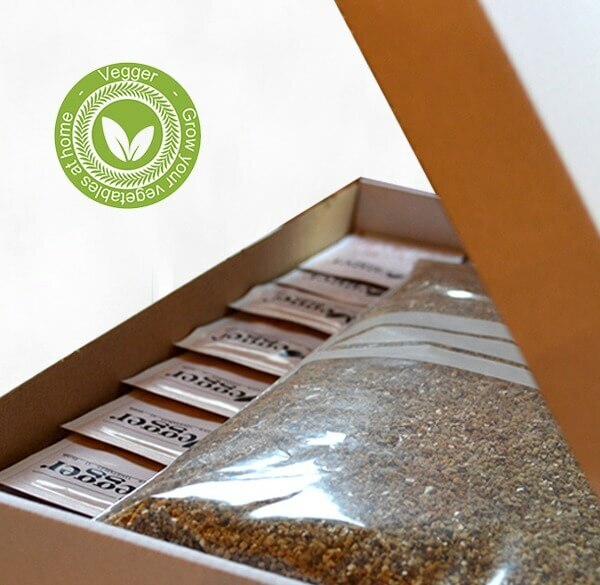 It is a natural mineral with an airy structure which makes it easy to hold water, air and nutrients. 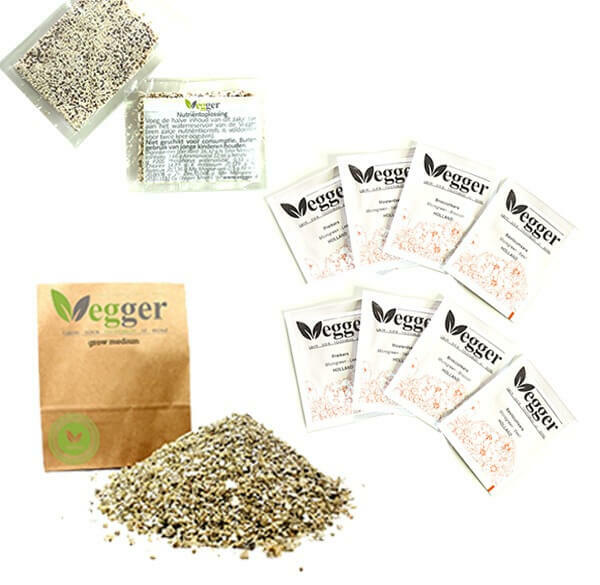 The Vegger Accessories Extra package contains 2 bags of plant’s nutrient of ± 5 grams. These nutrients can be added to the water in the Vegger systems to stimulate the growth of the plant. The granules will sink and release nutrients gradually. Two bags of plant’s nutrient are enough for 4 harvests.